One of the most exciting things about voice technology from our perspective is the way that it has bucked the usual trends in adoption. Usually a new technology hits a central age group who form its early adopters and then gradually filters out to their older and younger friends and relatives as they evangelize about its virtues. With voice, we have seen early adoption across the board. Children love using voice to play music. The elderly love voice to manage their to-do lists. Young professionals love voice as a quick alternative to google. Middle aged couples love voice for reading them out cooking instructions as they potter around the kitchen. Everyone uses voice, for everything. The usual barriers for entry to a new technology seem to be completely absent due to the lack of an UI and a very gentle learning curve. In times of crisis you can usually rely on human beings to panic, shut down and completely fail to learn new things. So it says something important about voice technology that even in those crises people can use it reliably, with the most obvious example of this being public defibrillators. First aid can be a tricky prospect at the best of times, which is why the general public is told to leave it to people who have had a bit of training. In the panic of the moment people have been badly injured, both those receiving first aid and those dispensing it and even when resuscitation is applied correctly the result can be broken ribs and a lot of other nastiness. 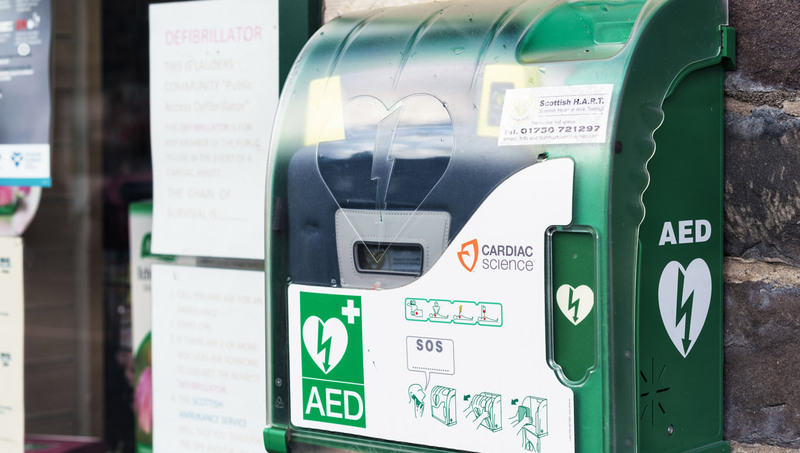 The idea of handing the untrained public a device that can dispense electric shocks strong enough to stop or start a heart is therefore concerning. For this reason, up until the recent advent of Voice, defibrillators were the exclusive domain of trained medical professionals. Nowadays, when you are out and about around town you may see signage guiding you to the nearest emergency defibrillator for public use and there is a big push to get more of these devices scattered around population centers because of just how useful they have turned out to be. When you turn the switch to activate one of these defibrillator packs it immediately begins speaking to you, guiding you through the process of what you are going to have to do to save a person’s life in such simple terms that a child could manage to follow along. It asks you to take a pair of sticky pads and attach them to the patient’s chest in the correct position and then uses the data that it gathers through those sensors to guide the first aider through the rest of the process. The device directs the first aiders to apply compressions to the chest as necessary and responds to any questions that are asked of it while recording everything that is going on to help emergency medical professionals when they arrive. What most people – in particular those of us who enjoy medical dramas – do not realize is that the actual function of defibrillators is not to “jump start” a stopped heart, it is to reset the rhythm of a heart that is not beating correctly. If the public had been given the devices that medical staff use, the ones without an inbuilt voice coach, then in all likelihood the result would have just been a lot of burns and electrocutions of people who absolutely would not benefit from the use of the defibrillator. The automated ones take the risk of wrongful use out of the hands of the person applying first aid. Measuring the patient’s heart-rate and beating pattern to ensure that shocks are only dispensed through the sensor pads when they are absolutely necessary. There is a lot of fear relating to automation, particularly when it comes to medicine, but the public defibrillator is an amazing example of an application of automation working in harmony with human users through the uniquely accessible medium of voice to provide not only a simple and streamlined experience, but a process so good that it can save lives.